Throughout our years of operating in the construction business, we have often observed that very few people devote enough time or budget for bathroom design or construction of the most used and indispensable part of their house: bathrooms. Bathrooms, just like kitchens or bedrooms, are an intimate affair. This is exactly why, it becomes very essential that the bathrooms in YOUR house are designed and built the way YOU want them built. At NÜHAUS, we offer exhaustive and comprehensive bathroom design and construction services, in conjunction with our house build and renovations services. We design the bathrooms with your consultation. This ensures that we understand your ideas and fit them in our designs just the way you see it. Bathroom designs and constructions can be carried out in isolation, provided that pertinent building grants are approved. From a total overhaul of existing bathrooms to redesigning of the plumbing network, we provide all the services, under one roof. The materials we use for the construction (pipes, tiles, metal works etc) are of high-quality and certified for sanitary applications. For more information regarding our services that cater to disabilities, please visit this page. 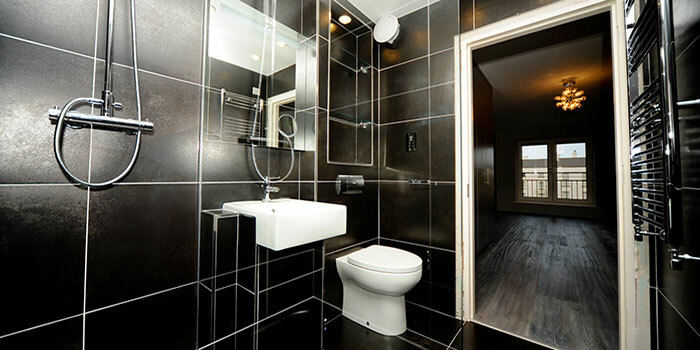 If you are opting for bathroom design and construction services from NÜHAUS, you won’t have to worry about being left without a functional bathroom for too long. Our construction teams are well adept at restoring the functionality of the bathroom, if not the complete redesign, in as few as three days, causing you virtually no inconvenience at all. In summary, NÜHAUS is your best design and construction partner for revamping your bathroom style and make it look transformed. If you are looking for quality design and construction companies in Dublin, your search has come to fruition. Call NÜHAUS experts on 01 440 2285 or get in touch for instant quotations and ideas.